A Twitter conference is a virtual conference that takes place on Twitter. You may join either as a presenter or as a participant. A presenter gives a talk via a series of tweets. Conference will happen on 14th March 2019. Abstract submission DEADLINE EXTENDED, closes on 20th February 2019. See the rules and guidelines of #brainTC, and some helpful tips on presenting. Follow @RealBrainTC on Twitter for updates! 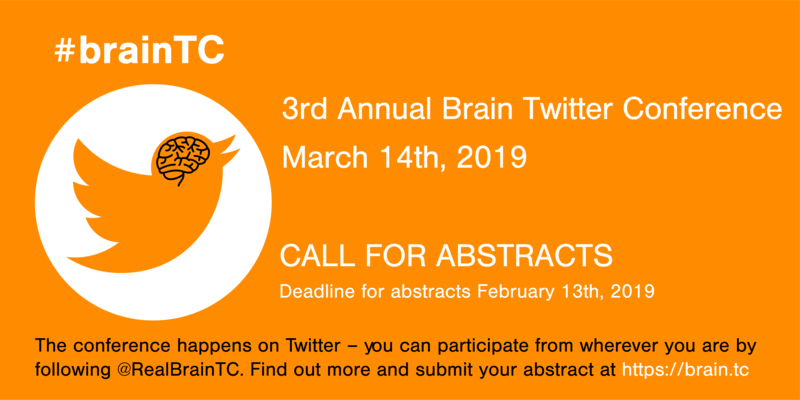 The third Brain Twitter Conference #brainTC will take place on the 14th March 2019. Our keynote tweeters include prof Russ Poldrack @russpoldrack, prof Jay van Bavel @jayvanbavel, associate prof Stephanie Jones @drstephjones, prof Alice Proverbio @AliceProverbio, and prof Paul Thompson @PTenigma. Mostly Science will livecast part of this year’s conference in Facebook! They will follow some presentations and interview presenters, keynotes and organisers. You can follow the livecast here! The goal of research is to understand the world and to use that understanding for a positive impact on our lives. Neuroscience still struggles to bridge advances on the molecular and cellular level with system-level neuroscience in a way that would explain how the mind works. Yet, much of the neuroscience research has direct clinical relevance. 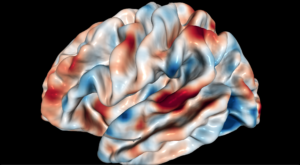 We hope that #brainTC will be able to highlight novel research that makes, or has the potential to make, an impact both in terms of applications and the core understanding of the brain. We call for submission of abstracts of brain research where neuroscience is making an impact. A Twitter conference is a virtual conference that takes place on Twitter under the hashtag #brainTC. Just like a regular conference, #brainTC will feature both keynotes and research presentations, but the talks will be delivered via a series of tweets under the conference hashtag. The conference removes the hassle of travel by allowing scientists to meet and interact using Twitter. Check previous BrainTC’s at braintc.aalto.fi/2017/ and braintc.aalto.fi/2018/. Don’t worry, it’s easy to make one and get started with Twitter. Here are some links with useful tips. Organisers will allocate accepted proposals into a programme, and give each presentation a 15-minute time slot. Each presentation consists of no more than 6 tweets. Each tweet should have the official hashtag #brainTC, and be numbered (see example presentation below). Tweets can contain pictures and even links to sources or papers, but the presentation should be understandable by reading just the tweets. The audience can comment and ask questions from the presenter using the official hashtag. The main discussion should happen before the next presentation begins. However, discussions may continue even after the conference. After the conference, the abstracts and links to presentations will be collected into a proceedings, along with author and title information. The proceedings will be published online with a stable, citeable address. See the Help page for some keynotes and presentations from past years. Use TweetDeck etc. so that you can follow multiple streams simultaneously. As a presenter, you might want to make a column for notifications and another for the conference hashtag. You can pace your six tweets of your presentation to be slightly apart, to give people time to read and understand them, rather than sending them all at once in the beginning. The presenter “chairs” the discussion during their time slot, by choosing which comments and questions they answer. Just like at regular conferences, be prepared for asking and answering questions. If your presentation is about a study that has been published elsewhere, it is a good idea to include a link to the publication in the presentation (a link in a tweet takes up only 23 characters). #brainTC is sponsored by Aalto Brain Center, @abc_aalto. For further information or help, please contact us at info _at_ brain.tc .